How can I access practice worksheets for preparation? The worksheets can be accessed online only. For this, you need access to a computer and Internet connection. We do not provide any hard copies of the tests. How many test papers are given as part of the subscription? There are 70-100 chapter-wise tests depending upon the class and 10 mock test papers in each subject for you to practice. You can take tests up to 3 times. You need to create a profile using email id and phone number before you can access the platform. Please provide a valid email address here as we will be using this email address to send all the results, contests, deals, discount information, promotions etc. Also, You can directly register yourself by Google Plus or Facebook. From next time you can directly login through google plus and facebook links. Can I take a free trial before buying? Yes, you can try our test quiz for free and get experience of our platform. Test quiz is available for all subjects for all courses and classes. Free-trial link is available on home page of the website. How do I purchase worksheets? It's simple - just go to 'Buy' page. Select your preferred course, subjects and class and then "PAY NOW". Our platform is absolutely secure. You may deposit cheque or demand draft to our account. For details, please write to us at [email protected]. The account will be activated once the amount is credited to our account. Where can I see all the worksheets? All worksheets are present in 'Worksheet' menu in the left navigation of your page. Select your preferred subject and get start!! How many times can I practice a worksheet? You can practice a worksheet up to 3 times. What is an OMR Sheet? Where can I access it? An OMR sheet is a sheet on which a student marks the answers for an Olympiad Exam. 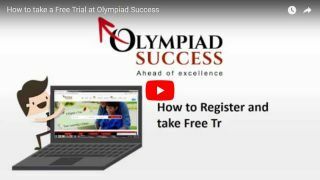 You can download a free sample Olympiad Success OMR Sheet here. I have 2 kids and I am unable to use same email id for both the kids. What should I do? Let's say, if you have a child in class 5 and another one in class 8, we can't provide access to both the children using the same email id. You need to create 2 login credentials to access separate courses. We do not refund part or full fees paid under any circumstances. Send us an email to at [email protected] and we'll be more than happy to assist you. All subscriptions expire on March 31, 2019 unless specifically mentioned. We provide only chapter-wise tests and sample papers for you to practice. We do not provide study material as part of the subscription. You should refer your school books or books provided by the organization conducting the exam. All the chapter-wise tests and sample papers are online only. These tests can be accessed only by a digital device with an Internet connection. 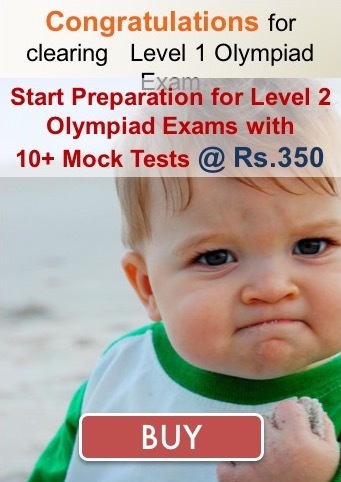 We do not conduct any Olympiad Exam nor do we have any affiliation with any of the organizations conducting these exams. Our role is to help prepare for these exams.